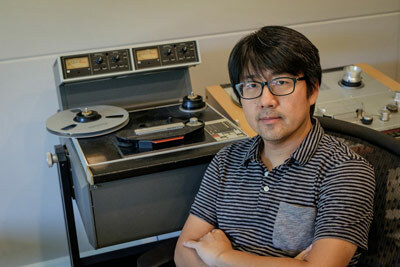 That’s Sangwook ‘Sunny’ Nam – the Grammy-nominated mastering engineer – as I call him from the East Wilder Road parking lot of his studio, Jacob’s Well Mastering. Situated yards off the bank of the Connecticut River, the elegant but nondescript building has been the home of Sunny’s studio since 2012. As he opens the door and introduces himself, I step into a cozy, inviting meeting room. Sunny leads me around the corner into his studio and then steps to the side so I can admire his workspace. It’s certainly a space worthy of admiration: professional-quality speakers are built into the wall to my left on either side of a window overlooking the river, while Sunny’s custom console fills the space to my right, boasting a vast array of displays, knobs, sockets, and lights. His chair is in the middle of the room, clearing any obstruction to the sound while he works – even if this means he needs to turn around to listen closely as he’s working. Sunny grew up in Seoul, Korea, where he discovered a passion for numerous styles of music from the time he began learning both guitar and piano at age five. As a teenager he sang and played guitar in a rock band while also developing his skills as a classically trained choir singer and pianist. In Seoul National University he received an undergraduate degree in computer science, then returned to the Graduate School of Music to study music composition and theory. 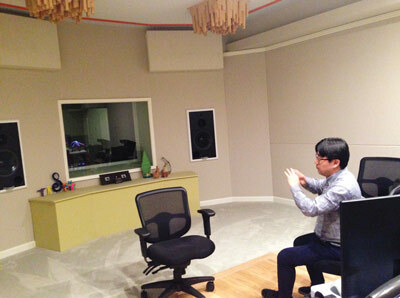 In 1998, Sunny began his career in recording; within a few years he had established himself as a prominent producer and recording engineer in Korea, working with numerous well-known musicians and orchestras (he gives me some names: Young Ok Shin and Daejin Kim, as well as Polish National Radio Symphony and Nashville Symphony). This also exposed him to the mastering process, which drew his attention. 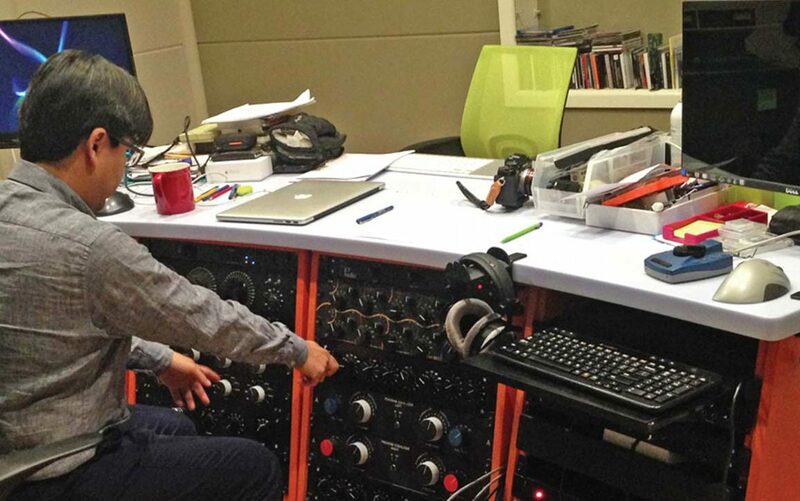 In 2005 he began a mentorship with Doug Sax, the founder of The Mastering Lab in California, whom Sunny exalts as a “legendary mastering engineer.” Seven years later, after his wife accepted a position at Dartmouth College and he grew tired of the commute from family to work, he left The Mastering Lab and founded Jacob’s Well Mastering after finding a perfect building for his vision, right next to the river bank. Even for audiophiles (of which Sunny is certainly one of the most dedicated), “mastering” may not be clear. Mastering is more than just “a process to make the music loud” so that it can be heard through headphones. Nor is it simply the conversion from professional media (which can be digital or analog) to consumer media. But those are both substantial elements of the entire process. Sunny explains that this means he might master a track differently if it is destined for vinyl, or for iTunes download, or for CD. Thus, there will be multiple outputs for the same recording, which Sunny expertly fine-tunes to the expected listening environment and circumstances of its format. But that doesn’t mean he spends months on a single album. “When I worked in recording,” he says, “we would have the same artist come in sometimes for three months. With mastering, we can finish a project in a day or two.” In fact, this is part of what drew him to mastering: the quick turnaround time, coupled with the variety of projects seeking his service. The studio’s name comes from the Biblical location where Jesus has a conversation with a Samaritan woman; Sunny, a Christian, hopes to interface his faith with other people, and also to connect the various genres he enjoys by the common thread of his work. “I’ll listen to anything: classical music, rock, country… even metal.” Having new projects every day gives Sunny the opportunity to work within the full scope of these interests. His client list is no joke, either: from Alison Kraus to Paul McCartney to Sarah Jarosz to Ray Charles, Sunny has an impressive résumé. When he’s not at Dartmouth College (he also teaches there, for the past three years) or in the studio, Sunny likes to play sports with his kids: skiing in the winter, baseball every other season, and PlayStation sports games when the weather keeps them inside. He loves food, too: Three Tomatoes Trattoria on the Lebanon Mall is his go-to for Italian, and Four Aces Diner is his top breakfast spot. 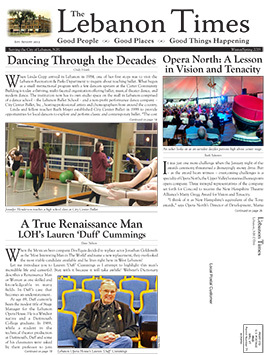 And he attends various shows at the Lebanon Opera House when he can, he tells me, as he recalls in particular last year’s rendition of “Clara’s Dream: A Nutcracker Story” presented by the City Center Ballet. Despite his many other interests, music remains a significant passion for Sunny, and Jacob’s Well is his testament to that, mastering music from around the world in his studio in Lebanon, New Hampshire.